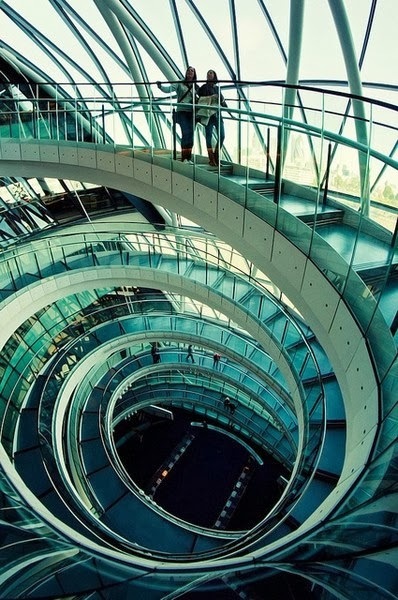 2) - Helical staircase inside London's City Hall. Completed in July 2002 and situated on the south bank of the Thames River near the Tower Bridge, City Hall was designed by the firm of the well-known British architect Norman Foster, who also designed the Gherkin and the Millennium Bridge in London. He was also responsible for the renovation of Berlin's famed Reichstag. 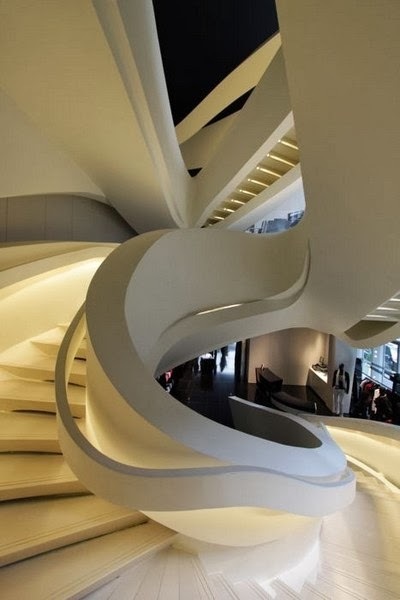 The subject of some controversy among those who dislike modern architecture, the bulbous-shaped building has been compared to a misshapen egg, a motorcycle helmet, and an onion. Designers say they chose this particular shape for the glass and steel structure because it reduces surface area and makes the building more energy efficient. The building is part of a complex known as More London, which includes shops, offices, and a sunken amphitheatre (The Scoop) that is the site of many summer open-air concerts and other arts performances. 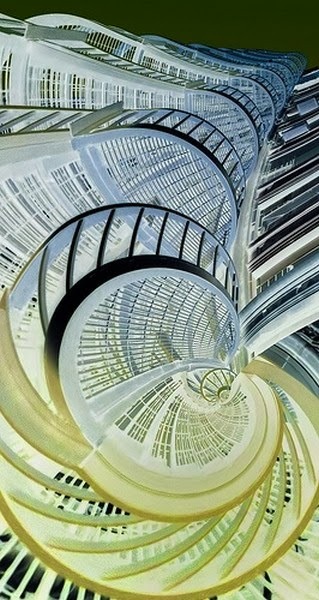 The staircase has two 360 degree turns and no visible means of support. Also, it is said that the staircase was built without nails—only wooden pegs. Questions also surround the number of stair risers relative to the height of the choir loft and about the types of wood and other materials used in the stairway's construction. 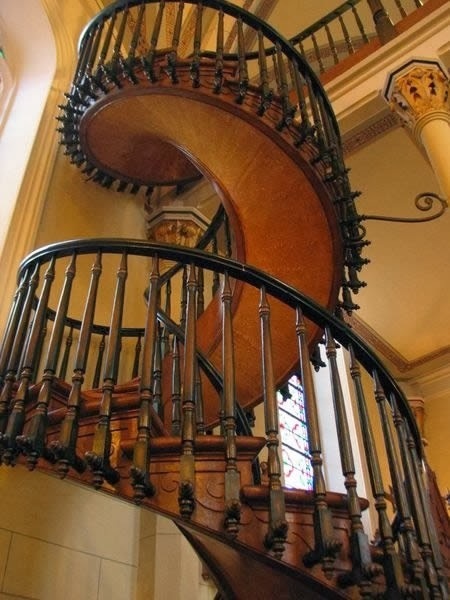 Over the years many have flocked to the Loretto Chapel to see the Miraculous Staircase. 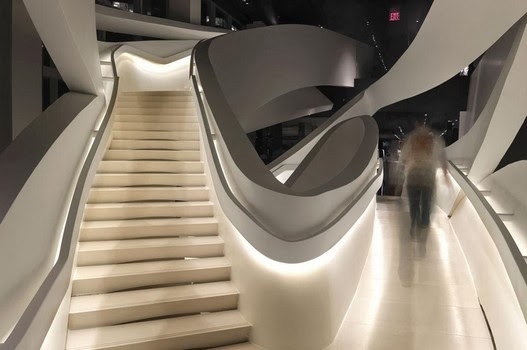 The staircase has been the subject of many articles, TV specials, and movies including "Unsolved Mysteries" and the television movie titled "The Staircase. ".